Your Classic Games are back and bigger than ever! 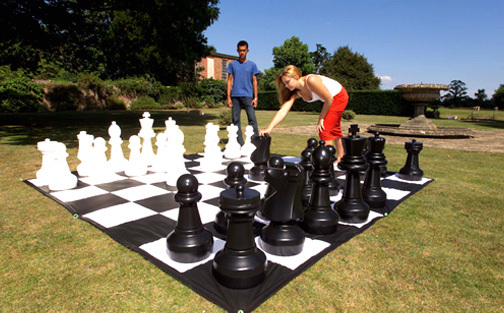 Entertain your guests with some of their favorite childhood games. We have everything from Chess to Jenga. Great for any type of event. Enjoy moving your life-sized pieces with two hands. It’s a lot more fun when the board and pieces are 100x bigger than the original game. Move your rook forward and strive to knock that king over with some force! Great for outdoor events or even bring it inside for a fun time. Be careful! The pieces fall over just as easy as if they were three inches wide. Try and be the last one to grab a piece without knocking down the tower. Ten times the size of a normal piece and ten times more fun to play with! Whether it be an indoor or outdoor event. Your guests will have a fun time playing with this classic game. One of the most iconic classic childhood game. Try your best to connect four chips in a row. The game is so large that you’ll have to take a step back to take the full view of the game. Careful you don’t miss anything! Set this game up on the table or down on the ground. Wherever it is, you’ll have a blast from the past when playing this game. Ping Pong is much more fun when you’re playing with four people. It’s not your normal 2 vs 2 but now it’s 1 vs 1 vs 1 vs 1! Protect your territory with your paddle. Everyone’s played Ping Pong but they haven’t played anything like this. Try out the new version of Ping Pong and you’ll never go back to the old game again!